It is getting cooler and cooler. Sorry – I mean that Global Warming is an imminent threat to humankind. Very late, the official April temperature figures are out.so I thought I dive into it. 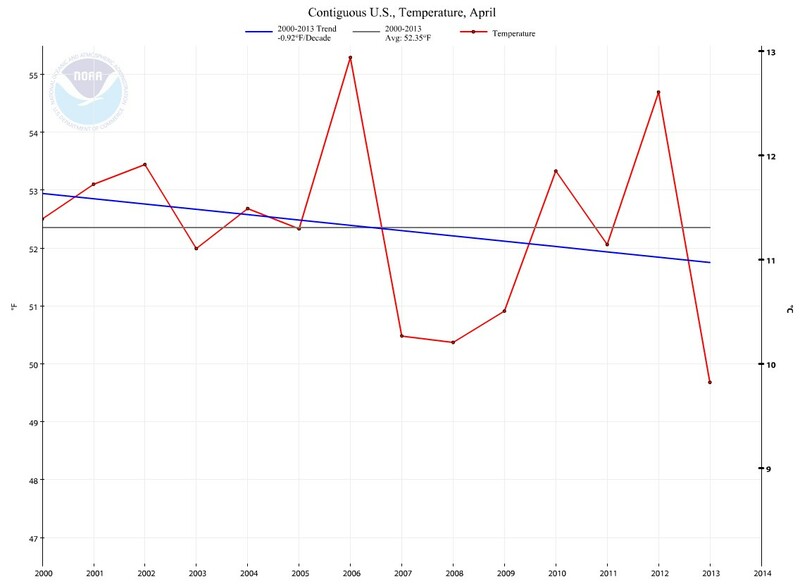 So the “warming trend” 2000-2013 for April is exactly – 0.92 F degrees a decade. That is a – 9.2 F COOLER in 100 years. That’s what I call “warming”! And remember that this year the January trend /decade were – 0.94 F / Decade for 2000 to 2013 (see my previous post). And that’s in the middle of the winter. And here we are in the middle of “spring” and the trend is – 0.92. 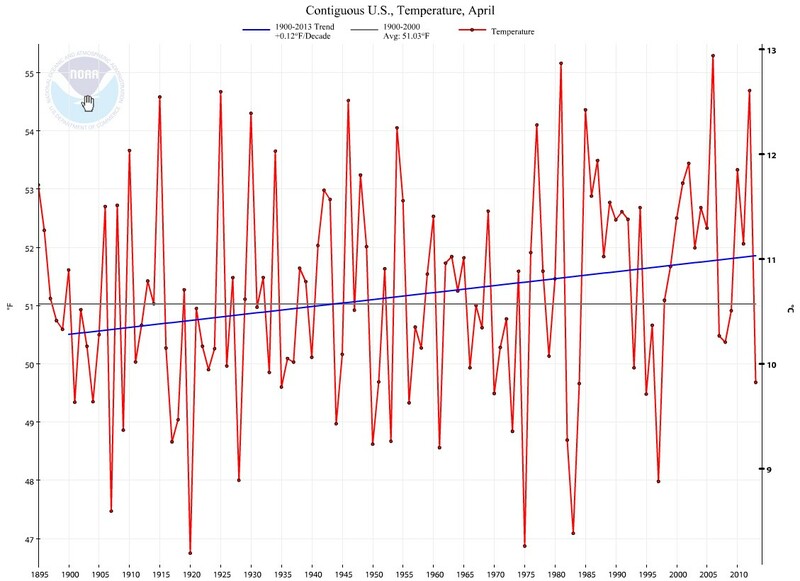 The April trend 1970-2013 is exactly 0.43 F degrees a decade. 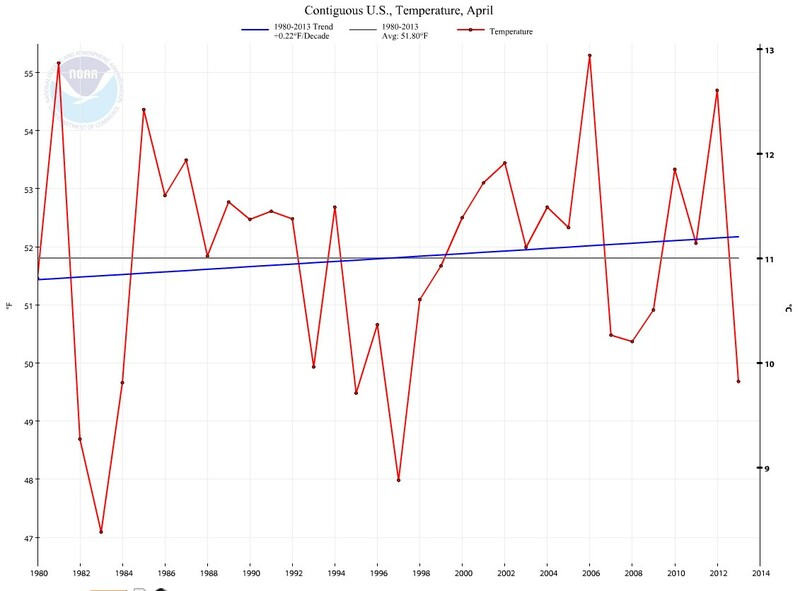 The April trend 1980-2013 is exactly 0.22 F degrees a decade. 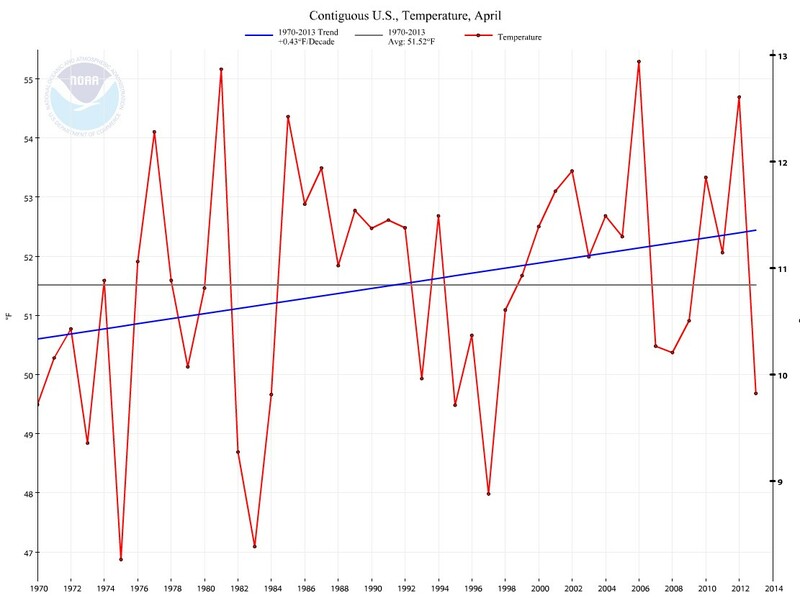 The April trend 1990-2013 is exactly 0.39 F degrees a decade. 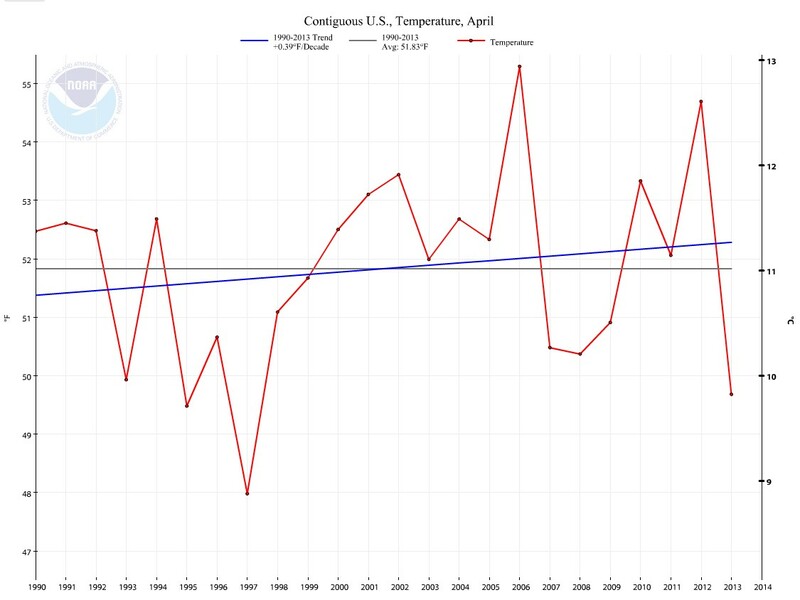 The April trend 2000-2013 is exactly – 0.92 F degrees a decade. This entry was posted on 16 maj, 2013 at 5:33 e m and is filed under Fri- och rättigheter, Miljö - Environment, US Temperature, USA, Yttrandefrihet. You can follow any responses to this entry through the RSS 2.0 feed. You can leave a response, or trackback from your own site.